1. From your home screen, click the [Free Apps!] icon. 2. 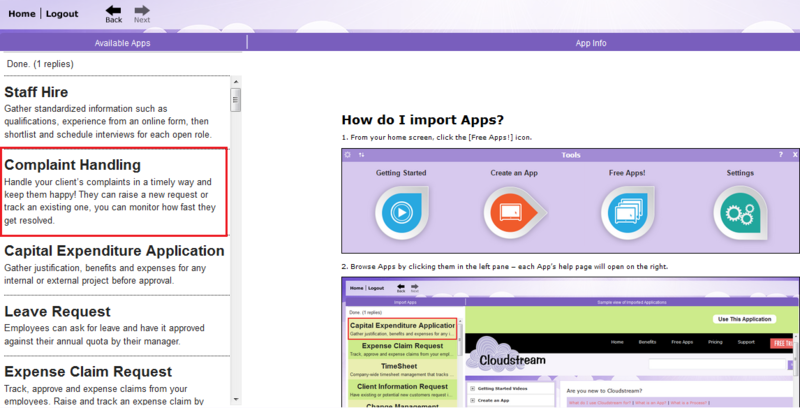 Browse Apps by clicking them in the left pane – each App’s help page will open on the right. 3. Click [Import App] button. 4. Follow the steps in the popup wizard. 5. Assign relevant ‘Role’ to user(s). 6. Once successfully imported, App can be launched using the App tile on Homescreen.